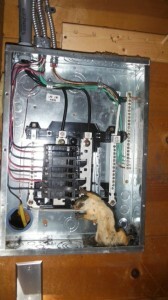 Pests (squirrels and other such mountain animals) gain entrance to your home through the smallest of spaces. 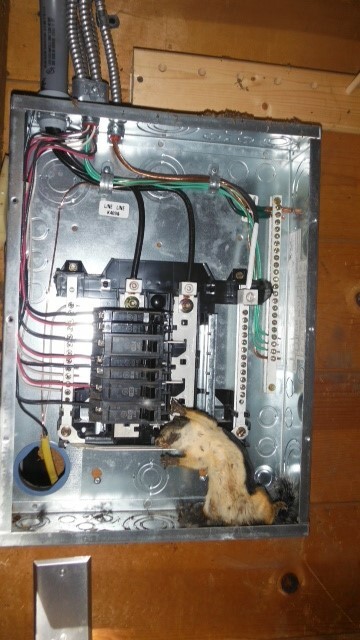 Even a small hole in your power panel is like a welcome mat for these little critters. Look around your house regularly for potential pest access holes and seal them quickly to prevent damage to your house, and death to the wildlife we share the area with.